Western science explains this differently, but the result is the same. Today, it’s believed that acupuncture stimulates nerves, muscles, and connective tissue to activate the body’s natural painkillers and blood flow. The list of conditions proven to respond to acupuncture continues to grow longer as scientific studies prove the impressive power of acupuncture. Nausea, dental pain, fibromyalgia, headaches, migraines, lower back pain, neck pain, osteoarthritis, addiction, chemotherapy nausea, depression, and menstrual cramps are just a few of the physical conditions that acupuncture can alleviate. Unlike pharmaceutical medications so commonly used in Western society, acupuncture has few, if any, risks and side effects. It is a time-tested, safe, natural, and drug-free way to provide immediate relief and long-lasting benefits. As long as your acupuncture treatment is completed by a trained expert who can masterfully place needles into the correct points in the body, the only things you will experience after your appointment are results! 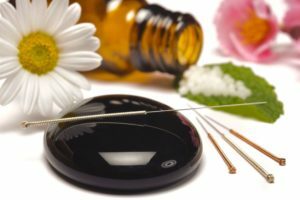 Call (813) 935-2273 now to make your own acupuncture appointment with Dr. Ron Shemesh at MindBodySpirit Care in Tampa, Florida.